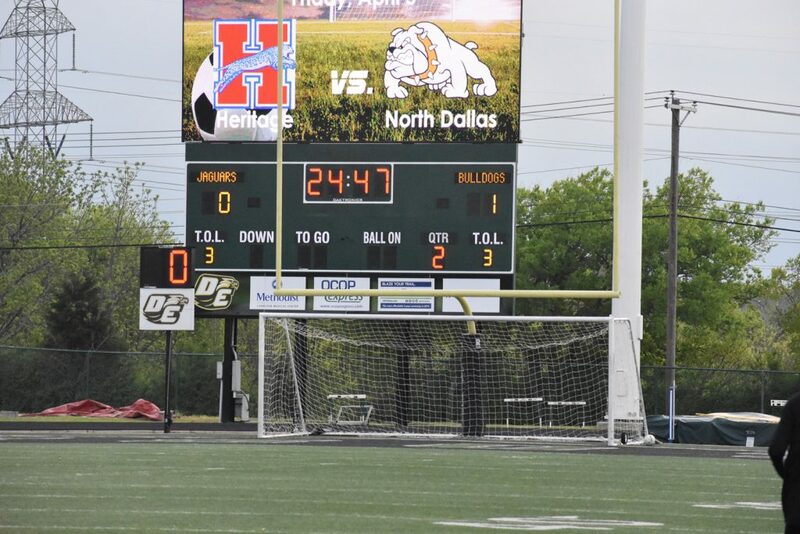 North Dallas teacher Holly Simon has been one of the Bulldogs’ biggest fans this season. 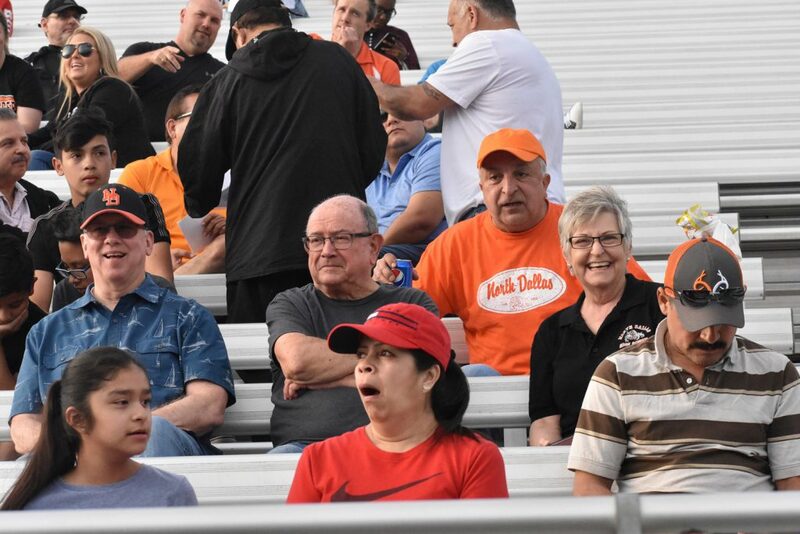 … and the North Dallas faithful went wild. 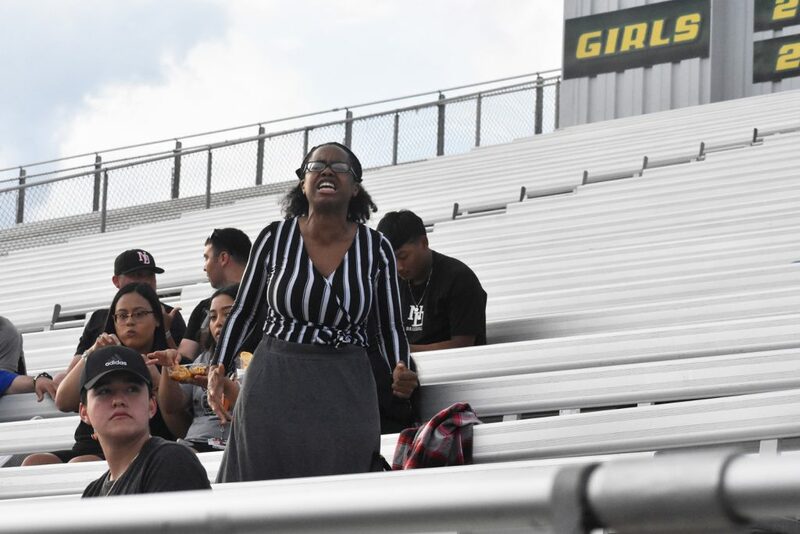 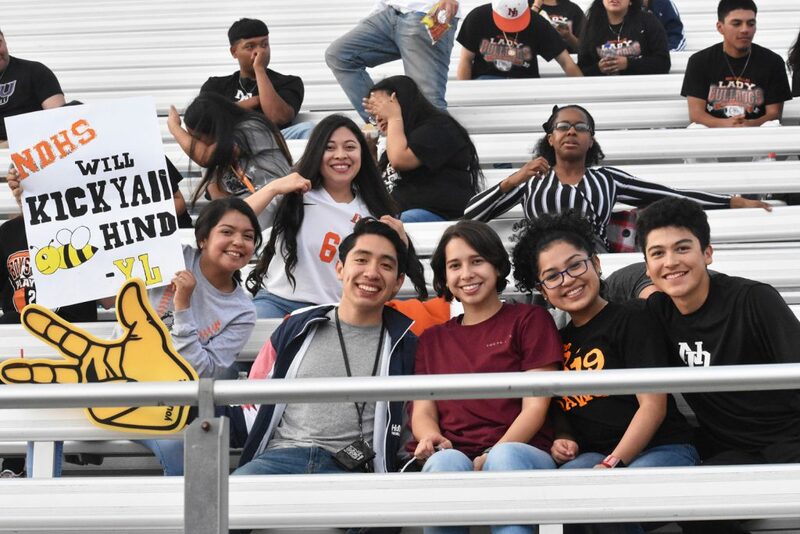 Students showed their support for the soccer team. 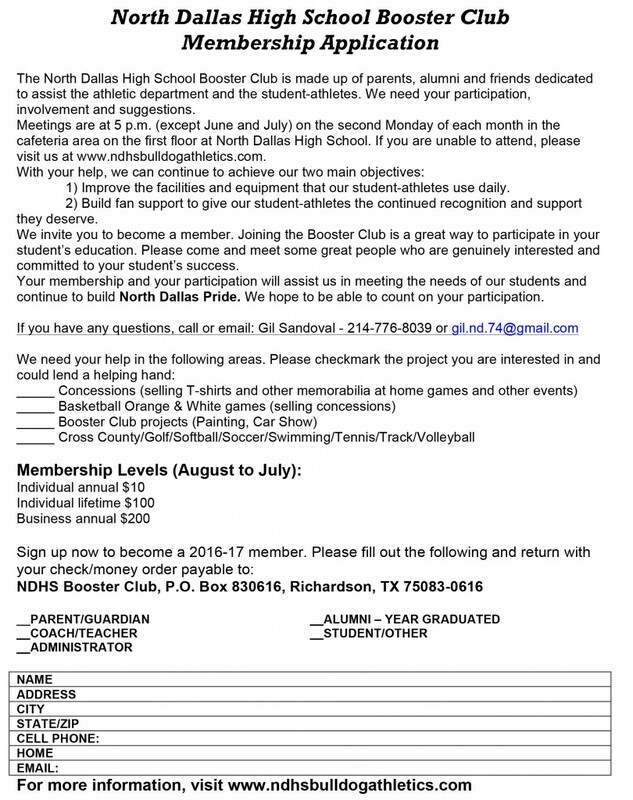 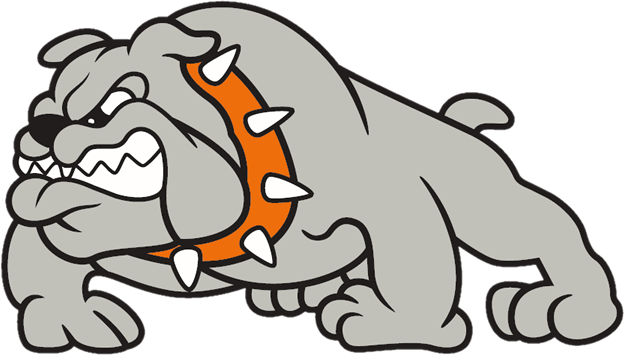 Who supprts the Bulldogs? 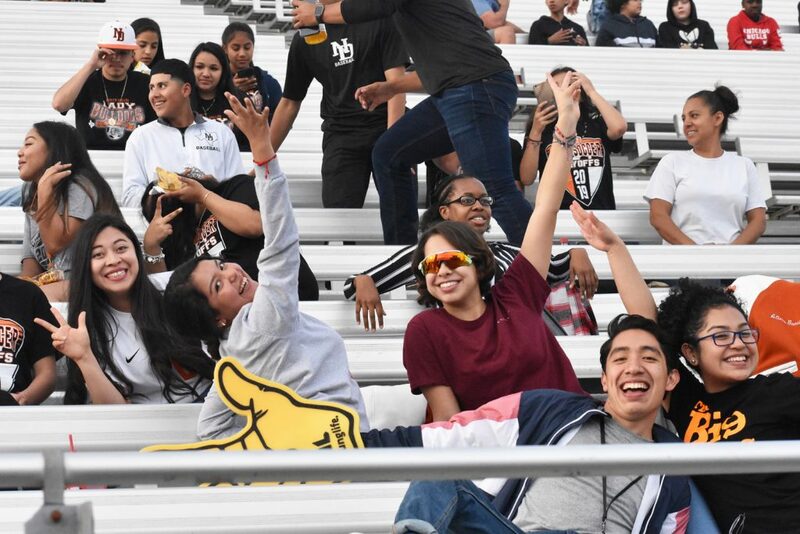 These North Dallas students do! 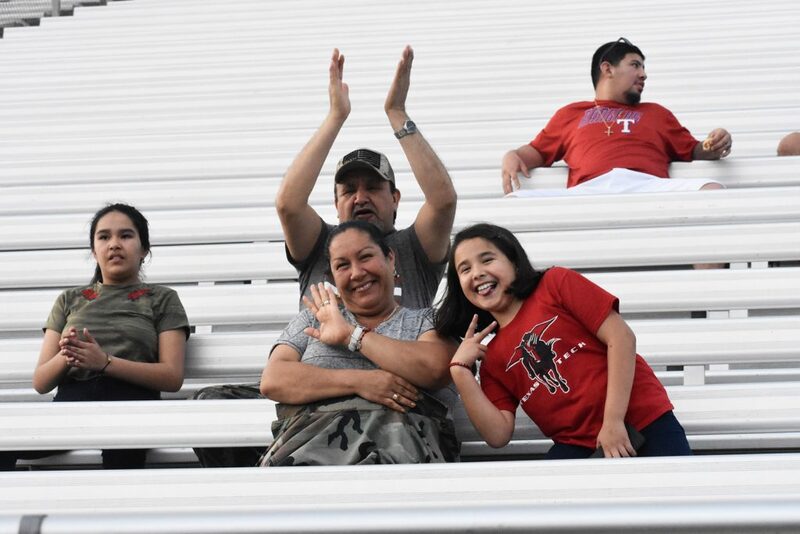 Fans. 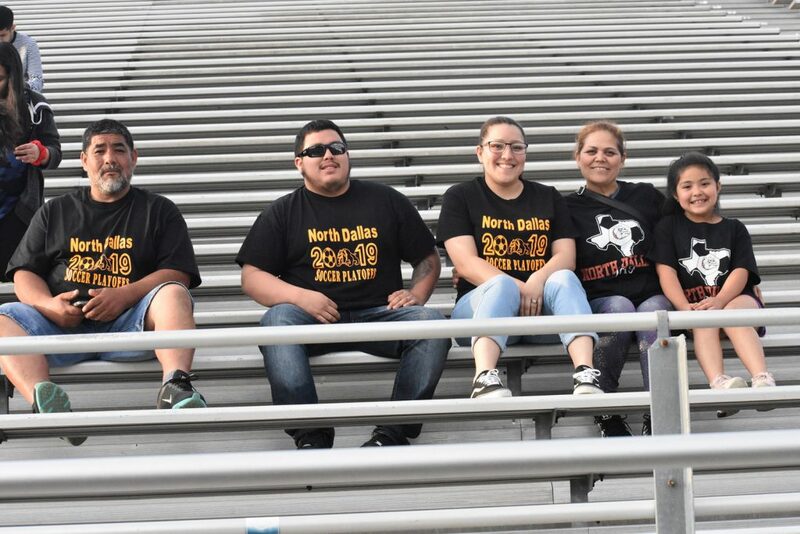 family and the baseball players were having a good time at the game. 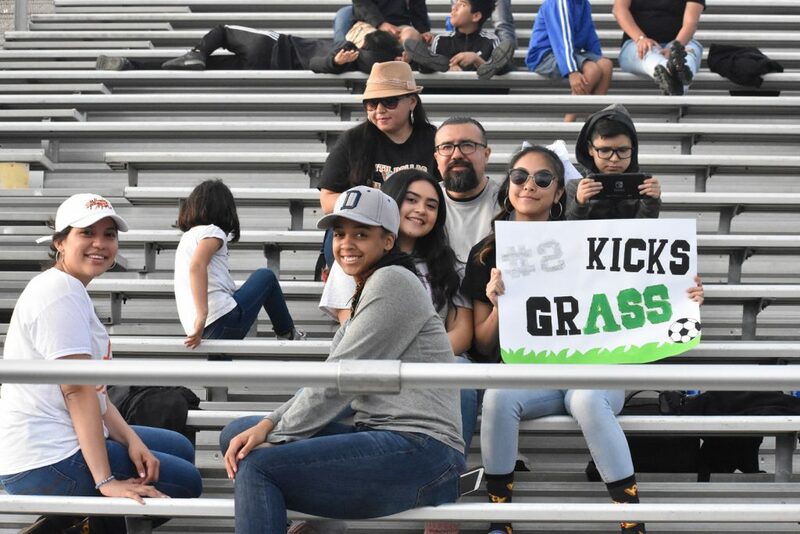 Holli Quach holds a sign to support North Dallas as Samanta Lopez and Jayla McIntosh look on. 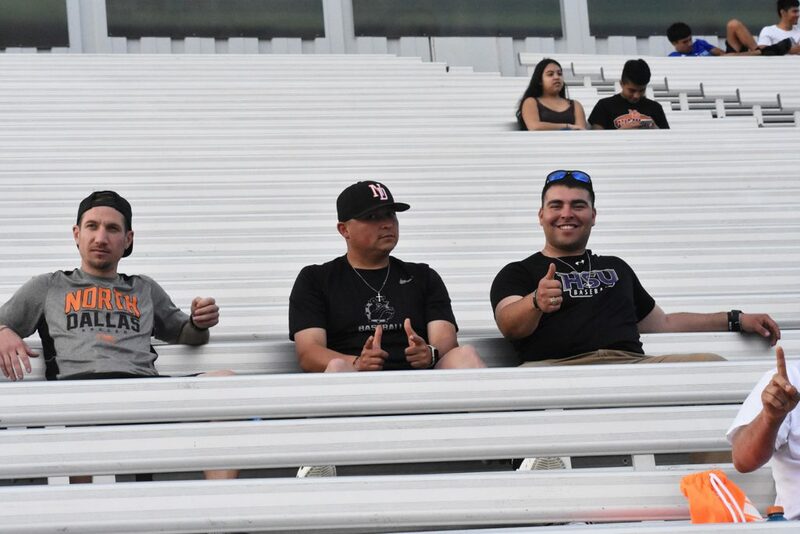 The alumni members were in the stands, including Michael Lemmon, Kit Hickerson and David Vivero. 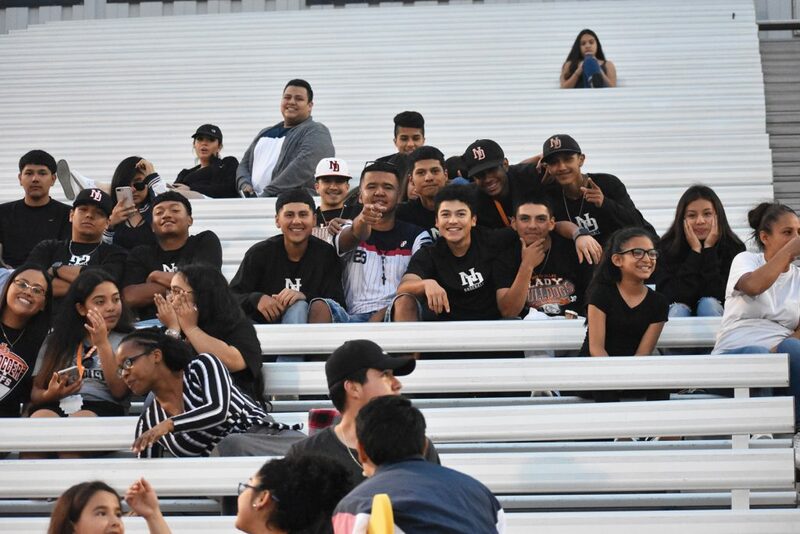 The baseball players were supporting the soccer players. 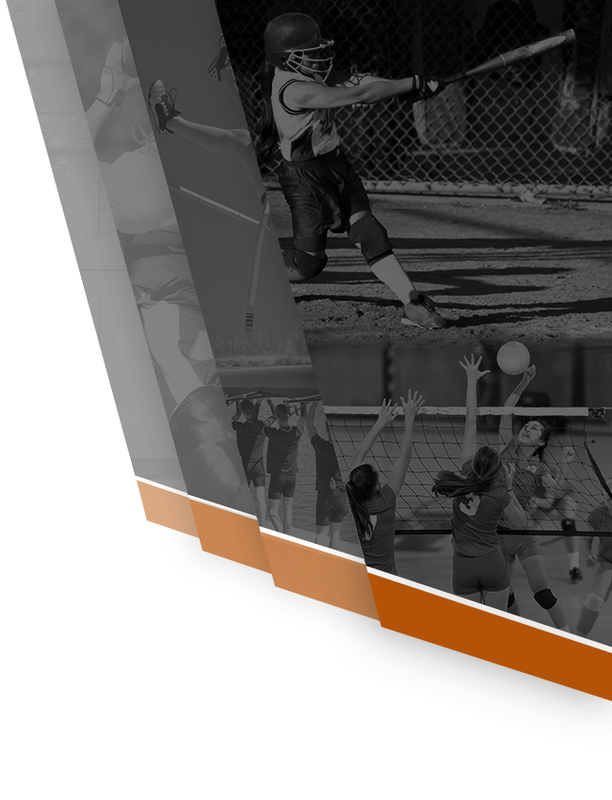 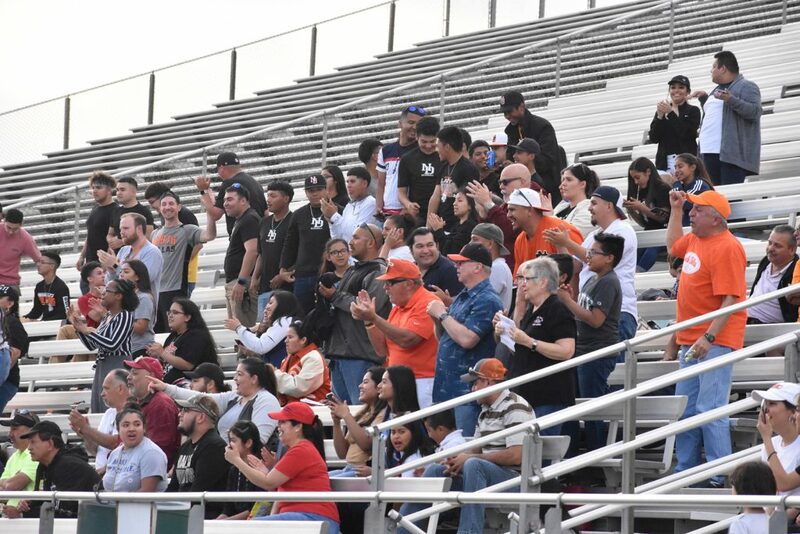 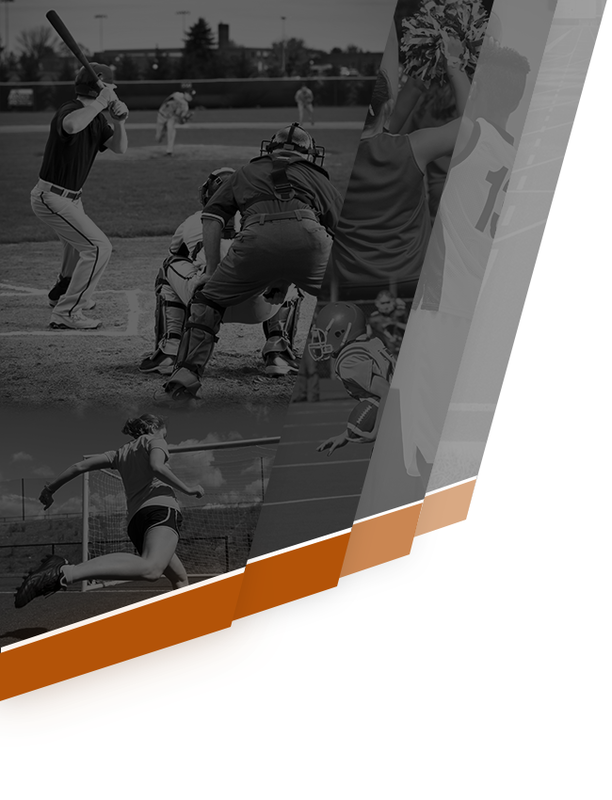 The coaches were there, including former North Dallas coach Jason Gaglione, baseball coach Steven De La Cerda and assistant coach Elijah Perez. 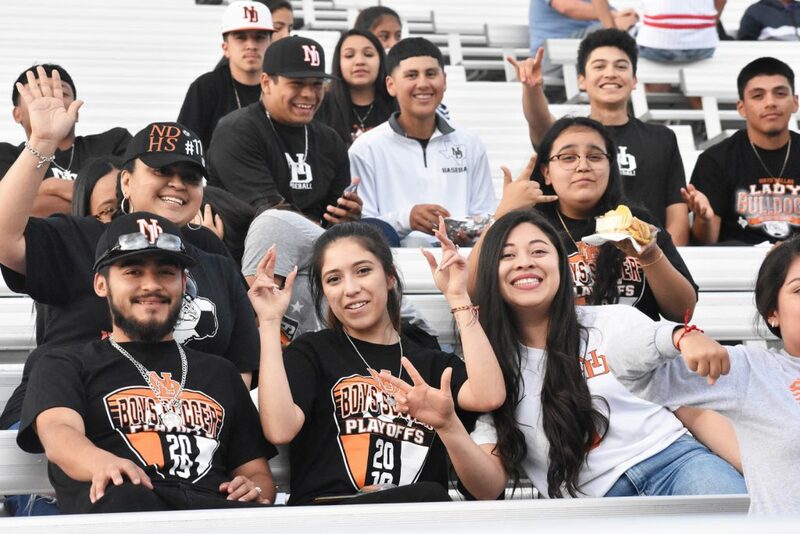 Another group of Bulldogs soccer fans.